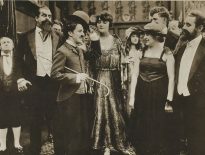 Principal Cast : Edna Purviance, Clarence Geldart, Carl Miller, Lydia Knott, Charles K French, Adolphe Menjou, Betty Morrissey, Malvina Polo, Henry Bergman. Synopsis: A kept woman runs into her former fiancé and finds herself torn between love and comfort. Charlie Chaplin’s short films had turned him into a major Hollywood star, if not the biggest screen icon in the world during the formative studio years of American film. His “Tramp” persona had allowed him considerable creative freedom, ultimately providing the means to co-found his own studio, United Artists, with fellow industry titans DW Griffith, Mary Pickford and Douglas Fairbanks, in 1919. The early 1920’s were also a period in which Chaplin was beginning to make the transition for purely comedic superstar to producing and directing more dramatic fare, to further his creative drive, and A Woman Of Paris was his first full length feature. Released by United Artists in 1923, the film is particularly notable for two things; Chaplin does not appear in the film (he wrote, produced and directed, and has a minor blink-and-miss uncredited cameo towards the end) and he cast his long-time leading lady Edna Purviance as the star. 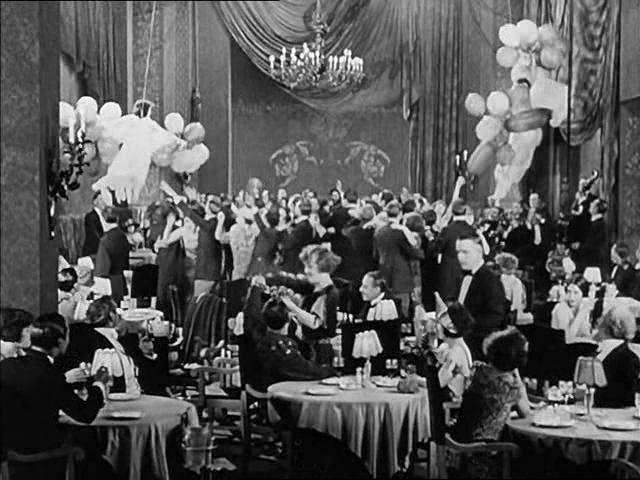 The film was also a straight up drama, eschewing Chaplin’s comedic proclivities for a soapy melodrama that audiences were confused by – despite a pre-release campaign to educate audiences about Chaplin’s absence from the screen, as well as a boldface title card stating as much in the film’s opening reel. Critics acclaimed the movie, but it was a financial failure. Marie St Clair (Purviance) lives in a ramshackle French village, in love with resident artist Jean Millet (Carl Miller). 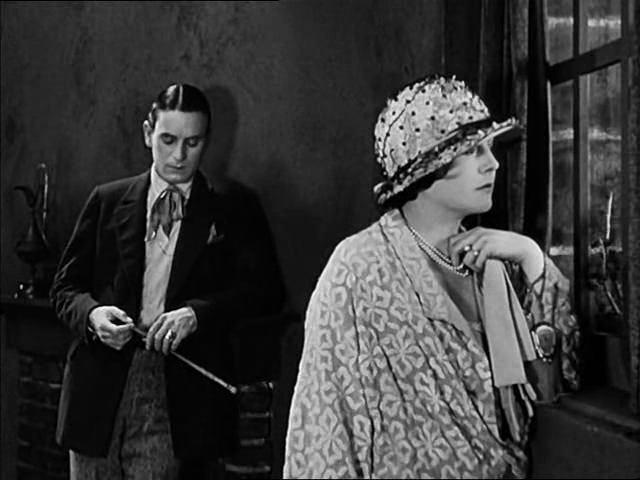 He promises her marriage upon their journey to Paris, something her father (Clarence Geldart) refuses to concede. On the night they are to take the train to Paris, however, Jean’s father (Charles K French) dies suddenly, and with Jean at his mother’s side, Marie eventually leaves for the city alone, dreaming of luxury and opulence. Years later, Marie is now a kept woman, her sugar-daddy being the wealthy aristocrat Pierre Revel (Adolphe Menjou). In a coincidence, Marie wishes to have her portrait painted, and chances upon the studio of a still grieving Jean, who has also moved to Paris. Marie wishes desperately to be married to Pierre for the financial security, but her feeling of affection for Jean return – Jean is still relatively poor, meaning Marie must make the choice between the man she truly loves and the man who can provide her all the luxury and security she could ask for. All great love stories are the tragedies. Romeo and Juliet, Rose and Jack, Kim and Kris Humphries, they all have one defining characteristic. A Woman Of Paris has similar tragic circumstances (is it considered a spoiler to reveal that somebody dies in the end for a film approaching its centenary?) 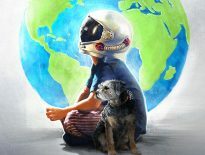 and to his credit Charlie Chaplin digs deep into the meat of the story in bringing its crescendo to full blossom, even though uneven tonal beats leading up to it malign the intended impact. The film’s statement about emotional love versus physical pleasures aren’t exactly subtle, either, with Marie’s consternation over her situation – “Fate” is used a lot in the film’s interstitials – a rumination on hedonism and truth. Core subtext aside, A Woman Of Paris is archetypal melodrama, the kind which sees woman fainting and men jabbering nonsensically as the fatal arc builds to its zenith. Chaplin wrote the film based on a romantic fling he had with actress (read: gold-digger) Peggy Hopkins Joyce the year before, and the depiction of French opulence and decadence, and its appeal to Marie as a woman of limited social means, contrasts heavily with her true self. Purviance’s role as innocent lamb turned clutching romanticist is archetypal indeed, and anyone who’s ever watched… you know, a film before will see where her trajectory goes coming a mile away. For 1920’s, however, I suspect this kind of thing was relatively fresh and new. Tormented central character aside, Purviance feels ill-equipped to handle such a delicate arc, offering a scant, almost confused performance as Marie. 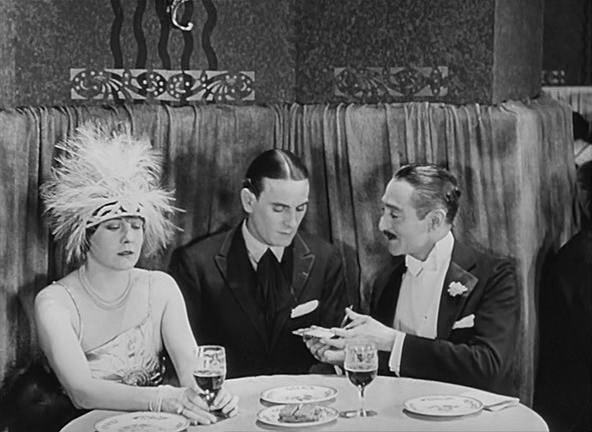 Her co-star, the rakishly handsome Adolphe Menjou as Pierre, looks for all the world like a John Jacob Astor type dilettante, more concerned with fun and partying than deep emotional attachment, and the actor is both charming and aloof in the perfect representation of shallow aristocratic luxury. Second lead is Carl Miller’s forlorn artist, Jean. Miller’s role is to counterbalance the fun and laughter of “Gaye Paree” with melancholy and pent up frustration. In truth, Miller’s arc is the most profound of the film, and one suspects Chaplin’s thinking behind it was a way of dealing with his own relationship with Joyce and it’s lack of cohesion. Bit parts to Clarence Geldart as Marie’s father, and Lydia Knott as Jean’s mother – who not only loses her husband but her son by the end of the film – are interesting, while Marie’s cattish friends, Fifi (Betty Morrissey) and Paulette (Malvina Polo) generate some laughs in a Mean Girls kinda way. A Woman Of Paris spends a lot of time dealing with building a case for freewheeling fun. Responsibility isn’t the film’s strong suit, and more or less the choice isn’t Marie’s to make anyway. Chaplin’s subtext is more interesting than the core premise establishes, and for a glimpse at early 20th Century film-making technicality there’s better options to take. It’s a pretty good silent film, although not one of the best, and Chaplin’s shift in focus from trying to make Purviance a major star in her own right after this would return him to better projects; similar themes of choice and fate appear in his later film Limelight. A Woman Of Paris is old-time melodrama that will engage only the most discerning silent film enthusiasts, while the rest of you will likely want to skip it.